Nelsons has built quite a reputation already as a Straussian. However, on this occasion and to my ears, it was only intermittently fulfilled. The ‘heartbeat’ to the opening of Tod und Verklärung was as aural-pictorially convincing as Strauss could ever have hoped for: tribute of course to the Philharmonia’s excellence as much as that of Nelsons. Moreover, that figure was properly integrated in musical terms; it did not simply stand out as an ‘effect’. The soft, sometimes very soft, playing drew one in, despite a less-than-well-behaved audience. Unfortunately, what had sounded as though it would be a very fine performance lost its way somewhat, vehement assertions of the hero’s life coming across in all too hard-driven a fashion. The brass sounded uncharacteristically crude, clearly acting under instruction. It might have been Sir Georg Solti conducting, were it not for Nelsons’s hyperactive podium manner. (The problem with such things is that if the musical results are good enough, for instance in the case of Bernstein at his best, no one will care; the moment they are not, the manner will irritate. And in general, it is difficult to imagine the greatest conductors – Furtwängler, Klemperer, Kleiber père or fils, Boulez, et al., jumping around in demented fashion.) What was lacking was a stronger sense of overall line, indeed of (post-)symphonism. Still, the performance certainly did not deserve its blighting by a mobile telephone; leader, Zsolt-Tihámer Visontay, whose solos had been exquisitely taken, was not the only orchestral musician to glare into the audience at that point. At least the Philharmonia’s glorious echt-Straussian glow offered some ultimate compensation. Moreover, Nelsons’s shaping of the close, a little orchestral untidiness notwithstanding, showed significant return to form – in more than one sense. Interestingly – and not necessarily unusually – Nelsons seemed more relaxed, certainly more fluent, as ‘accompanist’. Denoke is not possessed of the most ideally soaring of soprano voices for Strauss, yet from the opening of Das Rosenband she communicated the words most ably. Is that enough? Perhaps not in this case, ultimately, for as Julian Johnson remarked in his excellent programme note, in Strauss’s vocal music, it is often ‘the rich quality of the voice itself that seems to embody what the poem promises’. Nevertheless, there was much to enjoy, not least in the Philharmonia’s ability to offer almost ‘chamber’-like transparency without reduction in string forces. The orchestral stirring of the wood in Waldseligkeit sounded nicely Wagnerian, Siegfried in particular coming to mind; it was good to hear the harmonium too. However, it was in this song, that Denoke’s enunciation became less distinct. Matters were put right in Ruhe, meine Seele! If her soprano remained somewhat hard-edged, she marshalled her resources well, turning the song arrestingly – even if this should not be how one would always wish to hear it – into something approaching a musico-dramatic scena. Again, Wagnerian harmonic echoes in the orchestra were well conveyed. Orchestral warmth, including delectable solos on flute (Samuel Coles) and violin (Tihámer-Visontay) was a hallmark of Allerseelen, though arguably it dragged a little. Cäcilie, however, sounded reinvigorated, from the magnificent wash of orchestral sound with which it opened onwards. Denoke’s operatic experience was put to good use in communication of meaning, though her intonation was not always spot on. Zueignung was offered as an encore; if one could not help but long for a Jessye Norman or a Gundula Janowitz, one could still appreciate the musical and verbal acuity of Denoke’s account. What a pity, then, that a vulgar audience member saw fit to bawl ‘Bravo!’ before the orchestra had ceased to resound! Beethoven’s Fifth Symphony is an extraordinarily difficult piece to bring off, partly on account of the great performances from the past that retain their hold in our memories, individual and collective, partly on account of the stature the work has accrued in our general cultural consciousness, partly on account of its intrinsic performative difficulty: there are so many awkward ‘corners’ to navigate, even before one begins to consider vexed questions of meaning. (Of course, to separate score and meaning is already to fall short; the latter is not somehow something to be ‘applied’ once the notes are there. A still worse course is somehow to pretend that there is no meaning; that this is just a collection of notes, a superior sewing-machine pattern.) Nelsons’s first movement did not start off badly at all. There was nothing objectionable –today, alas, that itself is almost a mark of distinction – save for his strange reluctance to give full due to the first pause of the opening motif, both at the opening and upon its every recurrence. (One can still observe a distinction between the first paused note, a minim, and the second, a minim tied to a second minim, without sounding peremptory, as here.) Everything was well executed and there was highly creditable depth once again to the Philharmonia’s sound. Formal concision certainly came across. And yet, there never quite seemed to be enough at stake; there was little sense of struggle, and Beethoven without struggle really is not Beethoven at all. The coda was excitable rather than awe-inspiring, that initial wrench to the tonic minor barely registering. Once again, podium hyperactivity began to irritate; I could not help but wish for a little of the sobriety of Wolfgang Sawallisch, to whose memory this concert was dedicated. Some unfortunate woodwind slips – much to my surprise – marred the slow movement early on. Nelsons’s overly-moulded direction of the opening cello-section solo made for somewhat uncomfortable listening too, despite commendably rich cello tone. Ultimately, this proved to be episodic, harking back to the Strauss performance; the longer line was not maintained as it might have been. It was not too grievous and indeed there was a sense of real dignity to some of the episodes, but with Furtwängler, Klemperer, Kleiber, Boulez, Barenboim, et al. in the back of one’s mind, it was difficult not to wish for more. A barrage of coughing ensued once the movement had concluded, offering odd preparation for the scherzo. It was really rather fine first time around: implacable, defiant, mysterious. Above all, it was harmonically grounded. The hushed reprise suffered a little from imperfect balancing, though one could ‘fill in the gaps’ aurally without too much ado. The transition to the finale was not helped by a further outbreak of bronchial terrorism; it nevertheless promised much. Unfortunately, that sublime moment of arrival was blunted by a lack of gravity, excellence of orchestral playing notwithstanding. Nelsons once again proved too excitable. His basic tempo, whatever the dreary empirical ‘truth’ of the metronome, simply sounded hasty. Rejoicing was more suggestive of an end-of-term party than musico-metaphysical victory or presumed victory. There were fine moments, but moments alas are not enough. Without the greater whole, the heavens will not be stormed and shivers will not be sent down the spine. Despite this relative disappointment, I shall not give up hope yet that we might one day hear a fine Beethoven Fifth from Nelsons; perhaps it is just too early. A little reading of Wagner’s wonderful essays, On Conducting and Beethoven, would do no harm in the meantime. Better still, he – and we – should listen to Furtwängler. ENO’s advertising emphasises the ‘25th anniversary year’ of Jonathan Miller’s staging of The Barber of Seville. It holds the stage well enough without offering any especial insight – at least by now. The programme book mentioned commedia dell’arte: Tanya McCallin’s designs are of that world, certainly, even if there does not seem to be a great deal in Miller’s production that goes beyond the general ‘look’ of that tradition. Unlike many endlessly revived productions, this, then, is not in itself particularly tired, and one can readily imagine it offering the opportunity for new casts to come in and assume their roles without a great deal of stage rehearsal. 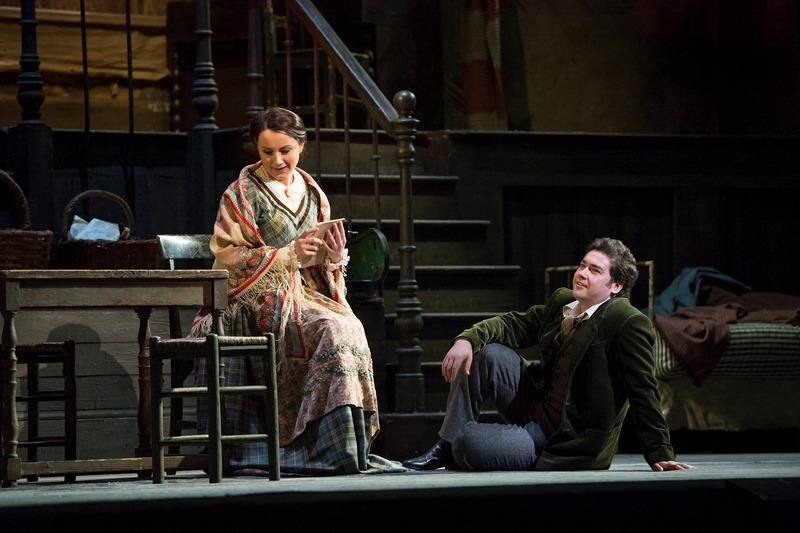 By the same token, when compared with, for instance, John Copley’s considerably more venerable Royal Opera La bohème, which I happened to see earlier in the month, the staging does not especially sparkle, enlighten, or indeed charm either. It would do no harm to have a little Regietheater cast Rossini’s way. Either that, or assemble a cast whose sparkle would lift the work above the merely quotidian. I say ‘the work’, but this performance, unfortunately, put me in mind of Carl Dahlhaus’s ‘twin musical cultures’ of the nineteenth century: too clear a distinction, no doubt, but nevertheless heuristically useful. On the one hand, one has the culture of the musical work, as understood in an emphatic sense, that of Beethoven and his successors; on the other, one has ‘a Rossini score ... a mere recipe for performance, and it is the performance which forms the crucial aesthetic arbiter as the realisation of a draft rather than an exegesis of a text’. The problem was that this performance, taken as a whole, simply did not sparkle as Rossini must. One therefore became of the score as a decidedly inferior, indeed well-nigh interminable work. Repetitions grated and a good part of the audience was espied, furtively or less furtively, glancing at wristwatches. If Rossini’s ‘musical thought hinged on the performance as an event,’ then this was an unhinged performance – and not, alas, in the expressionistic sense. Jaime Martin’s conducting started well enough. There was throughout a welcome clarity in the score; this was not, at least, Rossini attempting and failing to be Mozart or Beethoven. Give or take the odd orchestral slip, there might have been much to enjoy in the contribution of the ENO Orchestra, considered in itself. However, impetus was soon lost, and any ‘purely musical’ tension soon sagged. Whether the first act were actually as long as it felt, I am not sure, but many during the interval opined that it seemed as though it was never going to end. If Rossini’s repetitions as opposed to development serve a dramatic purpose, one can readily forget them; here they were apparent in unfortunately lonely fashion. I could not help but mentally contrast the extraordinary use to which Beethoven, for instance in the Waldstein Sonata, puts simple tonic and dominant harmony, to the tedium induced on this occasion. For some reason, the fortepiano was employed as a continuo instrument: a strange fashion, which has enslaved musicians who would never think of using it in solo repertoire. Performance, then, failed to elevate the ‘work’. At least the English translation, by Amanda and Anthony Holden was a cut above the average. The greater fault in any case lay elsewhere, above all in Andrew Kennedy’s Almaviva. His casting seemed simply inexplicable. Almost entirely lacking in coloratura, let alone Florez-like facility therewith, he resorted to mere crooning, a state of affairs worsened by the application at seemingly random intervals of unnervingly thick vibrato. His stage presence was of a part with his vocal performance. Benedict Nelson’s Figaro started off in reasonably convincing fashion, but by the end was somewhat hoarse and throughout lacked the pinpoint precision that might have lifted the performance. By contrast, Lucy Crowe was an excellent Rosina. Her coloratura was impeccable, her gracious stage presence no less so. Andrew Shore reminded us of his skills as a comic actor in the role of Doctor Bartolo, and Katherine Broderick also took the opportunity to shine as Berta. Sadly, the increasingly lacklustre conducting and the embarrassing performance of Kennedy conspired to negate those positive aspects of the performance, rendering one tired with the ‘work’, however it were considered. Having ‘unwrapped’ Beethoven, Chopin, Mozart, and Brahms, Kings Place has turned in 2013 to the greatest composer of them all, Johann Sebastian Bach. Even for a year-long festival, much of Bach’s voluminous surviving output will remain unperformed, but there is certainly a good deal on offer throughout the year. Here we heard a pair of cantatas and a pair of concertos, those old Bach hands in the Academy of St Martin the Fields joined by soprano, Carolyn Sampson. Three out of the four works featured a prominent role for flute, hence Michael Cox’s soloist billing. He and Sampson proved nicely matched in the opening Non sa che sia dolore, a rare instance of Bach in Italian, if indeed it is by Bach at all. (It sounds as though it is.) The ASMF’s Sinfonia convincingly plunged us into the musical thick of it, the orchestral contribution being perhaps the finest I have heard in this cantata. Despite the small numbers (strings 4.4.3.2.1), there was requisite harmonic depth to the aria, ‘Parti pur e non dolore’, possessed of a fine sense of inevitability. Rhythmic precision did not come at the cost, as so often it does nowadays, of a hard-driven performance; there was nothing unyielding to any of the movements. There was occasionally something a little woolly to Cox’s tone; I wondered whether this were a hat-tip to the Baroque transverse flute. Whatever the truth of it, it did not perturb. Sampson’s tone was bell-like in its clarity without that entailing a lack of femininity; it seemed thoroughly apt for a secular cantata. Vocal and instrumental exuberance were not bought at the cost of the weird exhibitionism that sadly characterises so much present-day Bach performance. The orchestra was pared down further for the ‘Triple’ Concerto for flute, violin, and harpsichord (strings 4.3.2.2.1). Again, despite the small numbers, i was immediately struck by the harmonic depth of the ASMF’s performance. And what a relief it was to encounter sensible tempi in an age that often lauds as ‘exciting’ breakneck performances that never so much as permit Bach’s music to breathe. Balance between the soloists was well-nigh ideal: not clinically so, just apparently ‘right’. The first movement even had me come close to leaving on one side my dislike of the harpsichord as a solo instrument, so convincing were Steven Devine’s shaping of phrases and projection. Devine, Cox, and Stephanie Gonley all displayed admirable flexibility within a stricter overall framework. In the slow movement, the harpsichord (inevitably?) tended towards the merely ‘tinkling’; I longed for the sustaining power of the piano, but that was hardly the soloist’s fault. Gonley’s violin sounded wonderfully viola-like in its richness of tone. Again, balance was exemplary. Bach’s ‘learned’ counterpoint made its point in the finale, but so did his equally fine melodic genius in a shapely, stylish performance. If the harpsichord solos were at times a little clattering, that again was the fault of the instrument, not the performer. Ich habe genug was given in its later version for soprano and flute (and should therefore have been marked in the programme as BWV 82a, not 82). The replacement of the original oboe with the flute makes the music less plangent, and a soprano can never hope to project the gravity of a Hotter or a Fischer-Dieskau. Nevertheless, this was a fine performance on its own terms, which certainly brought with it different Passion resonances. Again the depth of orchestral sound, doubtless assisted by the excellent Hall One acoustic, was crucial to the performance’s success. Recitative was supple, and if ‘Schlummert ein’ has been taken more slowly, it certainly did not fall prey to the inappropriate turbo-drive of the Double Concerto. Might not an organ, though, have been a better choice of continuo instrument than the harpsichord? Sampson’s low notes could not have the resonance of, say, John Shirley-Quirk in his great recording with Sir Neville Marriner and the ASMF, but this remained a moving account. The fast tempo of the final aria, ‘Ich freue mich auf meinen Tod,’ worked very well, both on its own terms and as a response to the strange Pietist words, a Christian never being at home in this world. Ornamentation was flawless, without loss to Bach’s humanity. The Takács Quartet, Wigmore Hall Associate Artists, is this week offering two concerts in which a Brahms quartet and a Haydn quartet are presented with a Brahms quintet. Friday’s concert will bring Brahms’s op.51 no.1, Haydn’s op.76 no.5, and Brahms’s Piano Quintet (with Charles Owen). This concert had the second of Brahms’s quartets, Haydn’s ‘Sunrise’ Quartet, op.76 no.4, and the G major Quintet, for which the Takács players were joined by violist Lawrence Power. Brahms’s A minor Quartet opened in cultivated fashion, the players offering a flexibility that would pervade the performance as a whole. This was not the most richly Romantic Brahms, and there was perhaps a degree of loss in that, but there were gains too. Certainly that unexaggerated flexibility of tempo in the first movement and beyond seemed consonant in the best, that is un-slavish, sense with what we know of Brahms’s own performing practice in his music. A fine balance was upheld and explored between themes, motifs, and fragments – at times, almost Webern-like – and the longer line, the overall cumulative effect very much that of the ‘developing variation’ Schoenberg discerned in Brahms’s music and his own. Form was properly dynamic in conception and execution. The second movement was again very well-judged, part-way between Schumannesque intermezzo and something ‘later’ – always a concern in Brahms. ‘Dramatic’ outbursts made their point, yet were seamlessly integrated into a greater whole. There was melancholy, to be sure, but not, as in Nietzsche’s cruel jibe, ‘melancholy of impotence’, likewise in the third movement, its opening dramatically pregnant, its later counterpoint handled lightly yet without being underestimated. Counterpoint was afforded greater weight in the finale, in a reading of increasing cumulative power, which, tensions beneath the surface notwithstanding, yet retained a certain Viennese elegance. Haydn’s ‘Sunrise’ Quartet sounded from its opening bars, as it should, as though Haydn were very much part of the same tradition as Brahms and yet in a sense more ‘timely’, less ‘late’, in his exploratory Classicism. The first movement showed admirable display for Haydn’s concision and spirit; if I have heard more extrovert performances, this nevertheless could not help but make me smile. Every note counted, as it must. Interplay between slow opening material – the apparent ‘introduction’ that is actually the beginning of the exposition proper – and what follows proved almost operatic, Mozart not so distant. The slow movement was heard as if in one, immensely variegated, breath, a model of intelligent and inviting Haydn playing. Infectious Schwung characterised the minuet, though its reprise suffered somewhat from imperfect intonation; the trio offered a delightful sense of partially deconstructed rusticity. There was again a Mozartian – well, almost Mozartian – poise to the final movement, but the rigour to the working out was unmistakeably Haydn’s own, as were the surprises. Tuning was, rather to my surprise, a little wayward from the cellist in the opening of Brahms’s G major String Quintet; that had been rectified the second time around. The performance as a whole did not quite seem to hit its stride until the second subject, the opening material sounding slightly forced in its projection. It was a joy throughout, though, to hear that extra richness afforded by the addition of Power’s viola; if ever a composer were likely to benefit from such an opportunity, it was surely Brahms. The flexibility of the opening quartet was once again very much in evidence, especially dring the development and recapitulation. What one might call ‘detailed intensity’ came to the fore in the second movement, which nevertheless retained a sense of overall simplicity, however deceptive, almost akin to a superior ‘song without words’. The febrile quality to the third movement seemed just right: unstable and yet ultimately fulfilling, redolent once again of the worlds of Schoenberg and Webern. However much he might try, Brahms at his ‘late’ juncture cannot recapture Haydn’s unbounded joy. High, if mediated, spirits registered all the same in the finale. One of Mozart’s Prussian quartets, that in B-flat major, KV 589, followed. Cultivated yet vital, warm yet clear, this was an excellent account, both of the first movement and the quartet as a whole. Cello solos – the king of Prussia favoured in Mozart’s scoring – were beautifully despatched without standing out unduly: far more a foundation for contrapuntal exploration. An excellent Mozartian balance was struck between ‘late’ simplicity and ‘late’ (Bachian) complexity, both contrapuntal and harmonic. Lyrical elegance was the hallmark of the relatively relaxed slow movement, though how much art conceals art here, both in terms of work and performance. The cello was necessarily first amongst equals, but ensemble was the real thing. A gracious yet far from sedate tempo – just right for ‘Moderato’ – permitted the minuet’s detail to emerge meaningfully, and what detail there is here! With a proto-Beethovenian sense of purpose, this amounted to a well-nigh ideal performance. The finale has one of those very tricky Mozartian openings, in which the players must begin in medias res; almost needless to say, it was effortlessly navigated, drawing us into a wonderfully ‘late’ marriage of ebullience and vulnerability, contrapuntal severity and sinuous melody. Every note and every connection between notes was played with evident belief. Schoenberg would have understood – and approved. What a pleasure to attend a performance in which everything comes together, there is nothing to which to object, in short to attend a performance that is a credit to all concerned: director, conductor, orchestra, singers, the Royal Opera House itself! John Copley’s production, here revived by Bruno Ravella, may be nearing forty years old, and in the abstract I should definitely be highly suspicious of a staging that had lasted nearly so long, but it is revived with such belief, such attention to detail, such joy in the work, that it exhibits more life than many a first night, let alone a first revival. The locations might be as we expect, or rather as we imagine, somehow clicking perfectly with how we always imagined Puccini’s Latin Quarter or the Barrière d’Enfer, but there is nothing wrong with that; no one needs La bohème, or indeed anything else, to be set in a supermarket just for the sake of it. The singers are well directed, credible and often rather more than that as actors. Crowd scenes are equally well handled. Little additional details, for instance Musetta taking up her billiard cue at the Café Momus and successfully potting her ball, add the occasional delight or amusement, without in any sense detracting from the drama. No Konzept? Well, there are always other directors for something more provocative – and Stefan Herheim’s production, now available on DVD, of course demands to be seen. Alexander Joel, making his Royal Opera debut, was a new name to me. On the basis of his lively, vital conducting, I hope that I shall hear him again soon. No particular ‘points’ were being made about the score; it was simply treated with respect, allowing the many fascinating aspects of Puccini’s scoring and his musico-dramatic intelligence to shine through. Wagnerisms and modernisms were not underlined; they manifested themselves anyway. If only he had not paused for applause during acts, but then I have never heard a conductor who did not; more’s the pity... Orchestra and chorus were on excellent form throughout, with nary a hint of the Saturday matinée routine. Anita Hartig proved a touching Mimì. Again, there was no especial ‘point’ being made; one took her character and lived with it, Beautifully sung, well acted: one could hardly have asked for more. Teodor Ilincai (Rodolfo) certainly has the instrument for this repertoire; his acting impressed too. He sometimes, however, had a tendency to sing at full throttle with the lack of tonal and dynamic differentiation that gives tenors a dubious name. I can see no reason, however, why that should not be successfully worked upon. Gabriele Viviani made a thoroughly musical impression as Marcello. 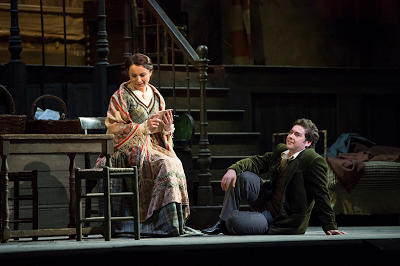 Sonya Yoncheva’s was a vocal and stage delight, from beginning to end, the character fully inhabited and represented. There is nothing secondary about this ‘second cast’; its coherence puts a great number of starrier casts to shame. And there is nothing secondary about Copley’s production either. Quite a tonic for a cold February afternoon, enough to melt the coldest, most cynical of hearts! Médée was Marc-Antoine Charpentier’s sole work written for the Académie Royale de Musique, the legacy of Lully’s operatic monopoly having died hard. Though not a popular hit, unlike, say, Alcide and Didon, the theme of Thomas Corneille’s libretto and Charpentier’s response thereto almost certainly proving too much, too ‘immoral’ for many Parisian sensibilities, the opera certainly proved a critical success upon its first performances in December 1693. Sébastien de Brossard, priest, music theorist, and composer, went so far as to describe it as ‘the one opera without exception in which one can learn those things most essential to good composition.’ Louis XIV, erstwhile avid Lulliste, was impressed, complimenting Charpentier personally upon the opera, whilst the king’s brother, Philippe, Duke of Orléans, ‘Monsieur’, and eldest son, Louis, the Grand Dauphin, both attended several performances. Though hailed by the critics on its first outing, Médée seems to have received no further performances at the Paris Opéra after 1694. Does it deserve better this time? Yes, I have no doubt that, even if Rameau were unaware of it – the evidence seems tantalisingly unclear – that it is nevertheless not only a fine tragedy in its own right but, in retrospect, a crucial stepping stone on the teleological path that takes us not only to Rameau but to Gluck, and thence of course to Mozart, Berlioz, and Wagner. Alas, the cast was left to shoulder the burden on its own on this occasions, receiving scant support from either the pit or the staging. So whilst some excellent singing will doubtless have won a few welcome converts to the cause of tragédie lyrique, much of what was seen and a typically perverse conception of so-called ‘period style’ from the conductor – do conductor and director ever stop to consider how irreconcilable their stances are with each other? – will also have had many wonder what the fuss was about. My enthusiasm for the work was certainly not shared by a couple of friends to whom I later spoke; given the circumstances, I cannot say that I blame them. The lion’s share of the responsibility should be lain at the door of Sir David McVicar. Taking up the recent tendencies in his stagings and extending them, at times to the point of absurdity, what we witnessed was a camp monstrosity, relocated to the 1940s for no apparent reason, save to permit an endless display of military uniforms, secretarial staff, and the dancing boys and girls within them. A point might well have been made about war and wartime exigency, but it was not; the updating seemed merely a matter of arbitrary ‘colour’. The nadir was perhaps reached with the arrival on stage of a large pink aeroplane at the end of the second act, whilst Cupid darted around as a nightclub singer, an unfortunate reminiscence, even if unintentional, of the recent ENO Giulio Cesare. Spectacle could perfectly well have been harnessed to dramatic effect, just as it might have been in late seventeenth-century France; however, it was not. I was put in mind of Wagner’s furious accusation in Opera and Drama against Meyerbeer; opera had degenerated into an ‘outrageously coloured, historico-romantic, devilish-religious, sanctimonious-lascivious, risqué-sacred, saucy-mysterious, sentimental-swindling, dramatic farrago’. The only moments of real drama emerged as if by default, the endless comings and goings on stage thinning out for a while, and Charpentier’s music just about emerging on its own terms. When that happened, however, it did not last for long, the brief moment of concentration upon Médée in the third act giving way to the bizarre appearance of hellish creatures who, in a non-mythological context, seemed more like writhing refugees from a second-rate episode of Dr Who than tragic figures of dread. The dance routines, however well executed, seemed tone-deaf to Charpentier’s music and quite unaware of the dramatic role that dance should play in this repertoire. Some time immersed in a seventeenth-century manual, if only to reject its prescriptions, might have been well spent. If opera is held to be mere ‘entertainment’ – and not very entertaining entertainment at that – then there seems little case for public subsidy at all; if treated more seriously, more daringly, more provocatively, more shockingly, then it justifies itself handsomely as public discourse. German houses tend to understand that. Our London houses show some understanding of that from time to time; if only McVicar, undoubtedly a master of his craft in terms of having singers and actors do what he would, might shed the disturbing anti-intellectualism that has pervaded so much of his recent work and go beyond mere crowd-pleasing spectacle. Rightly or wrongly, the Prologue was omitted entirely. Christian Curnyn’s conducting will doubtless be lauded in certain quarters. There was a far from unimpressive ebb and flow to it, the boundaries between air, chorus, and recitative properly brought into question, even dissolved. That undoubted achievement could readily have formed the basis of a fine performance. The great pity, however, just as in Giulio Cesare last autumn, was ‘period’ obsession: puritanical elimination of vibrato, refusal to allow the strings to sing, indeed to sound like orchestral sings as opposed to members of a village folk band, and what sounded very much to me – I could not see the pit – like employment of different, so-called ‘Baroque’ bows. There were moments, especially solo moments, when the ENO strings seemed to regain control, but they really should not have to play with both hands metaphorically tied behind their backs. If we are to have the rare, priceless advantage of modern strings, then for goodness sake let them be used. The blend with recorders was often problematic, as it always tends to be; modern flutes would have been a far better choice. Trumpets and a variety of drums alleviated the worst of the vibrato-less tyranny. How would Sarah Connolly match up? Very well indeed. There were moments earlier on when I wondered whether the role was quite suited to her voice, some of its richness lost on account of the range. However, from the point of her summoning the spirits onwards, such doubts were triumphantly banished. The part became Connolly’s, in dramatic and musical terms equally; there was no doubt about where one’s sympathies lay, however horrific her crime. Katherine Manley’s Créuse offered an excellent foil, necessarily a poor second to Médée, yet beautifully sung and acted, and capable of eliciting a degree or two of sympathy herself. Likewise Roderick Williams’s typically subtle, intelligent portrayal of Oronte, though as in every case, one could not help but wonder what he might have sounded like in French, Christopher Cowell’s English translation making a good stab at an impossible task. Brindley Sherratt’s Créon offered a well-judged blend of hubris and haplessness. Many of the singers in smaller roles shone too, for instance Rhian Lois and Aoife O’Sullivan as the confidantes of Médee and Créuse. Choral singing was excellent too. The sole fly in the ointment was Jeffrey Francis’s quite unheroic Jason. There may be a good case for deconstruction of heroism in this case, but there needs to be a degree of construction in the first place. The role sat unhelpfully for his voice, but stage presence was lacking too. Three cheers are certainly due to ENO for this foray into pre-Ramellian tragédie lyrique. Would it not be a wonderful thing to hear some Lully next? Or indeed, to move forward to Gluck? Let such further explorations, however, be the province of a director who would take form and drama with but a modicum of greater seriousness. This paper was given at the recent Wagner World Wide conference at the University of South Carolina. It gives a little taste of what will be in the chapter on Henze in my forthcoming book, to be published at the end of this year by Boydell and Brewer, though that will of course both be more detailed and more wide-ranging. I should normally remove, or rather not include, footnotes here, but have retained them, in case they are of any help to someone seeking the sources. The crimes committed in the concentration camps were now being talked about more or less openly, resulting in a growing sense of shame and horror. No one had known a thing. Everyone had been against it. The men and women of the occupying armies looked disbelievingly at us Germans, or their eyes were filled with loathing. Ever since then I have felt ashamed of our country and of my fellow Germans and our people. Wherever my travels have taken me, my origins – my nationality – have always caused me problems, even in Italy. Nor is it any wonder, since the devils who dragged us into this war did such unforgivable and unforgettable things to our neighbours, especially in Rome, not only in their persecution of the Jews but also following Mussolini’s fall from power and during the subsequent partisan struggles. For him, moreover, ‘German art – especially the middle-class, nationalistic art of the nineteenth and early twentieth centuries – became insufferable and suspect’. There are no prizes for guessing that Wagner’s music might fall under that rubric, especially given the strong ties between the Bayreuth Festival and Hitler himself. The weight of tradition had grown steadily after Beethoven, notoriously making Brahms so loath, even for a lengthy period unable, to complete a first symphony. Johann Nikolaus Forkel, in his celebrated 1802 biography of Bach, had portrayed the composer as the musical equivalent of the classical texts upon which German humanist curricula were founded. Bach, the ‘first classic that ever was, or perhaps ever will be,’ was ‘an invaluable national patrimony, with which no other nation has anything else to be compared’. The posthumous role, then, played thereafter by Bach, Beethoven, and more controversially, Wagner, as German national heroes is well known. Yet, as Thomas Mann, after whose Doctor Faustus Henze would later composer his Third Violin Concerto, knew all too well, there was a difficult, complicated relationship between such musical heroism and Friedrich Meinecke’s ‘German catastrophe’. What remained was the modernist art proscribed by the Nazis, untainted by association; what had previously been condemned as abstract, degenerate, un-German, and of course Jewish, now offered the opportunity for redemption of German music: a message for ‘outsiders’ that would never leave Henze and would inform the construction, conscious or otherwise, of his image. This conflict between freedom and authority, and the question of what freedom might really entail, is dramatised in Henze’s opera, Der Prinz von Homburg (‘The Prince of Homburg’), which has its origins in Kleist’s Prinz Friedrich von Homburg, a surprisingly militaristic, indeed Prussian, text for either Henze or his librettist, Ingeborg Bachmann. Needless to say, many modifications are made. Der Prinz von Homburg was first performed in 1960, Henze provocatively claiming his model to be nineteenth-century Italian opera.’ Verdi and Donizetti seemed at least as much his anti-Wagners as inspirations in themselves. ‘Every bar,’ he would write, ‘reveals Verdi’s influence as a music dramatist.’ Such remarks, such intentional implicit criticism of Wagner, could certainly never have emanated from Schoenberg, his circle, nor from anyone seeking to position himself in the role of successor to the Second Viennese School. The claim of an ‘Italian model’ was indeed largely rhetorical, for Henze also tells us that the drama ‘very much cried out for this contrast between dodecaphony and what – with a pinch of salt – might be termed traditional harmony: the dialectics of the law and its violation, of dreams and reality, of mendaciousness and truth.’ One could also point to the Nietzschean dialectic – actually Wagnerian in origin – between Apollo and Dionysus. This is all thoroughly Germanic, not Italian at all, but so of course is the desire to escape from Germany to the warm Meditteranean south. Henze’s words are thoroughly German. Der Prinz von Homburg… sets itself against the blind unimaginative application of laws, in favour of an exaltation of human kindness, an understanding of which reaches into deeper and more complex realms than would be ‘normal’ and which seeks to find a place for a man in this world even though he is a Schwärmer and a dreamer, or perhaps because of that. I have striven for greater freedom, or at least what I understand by it: certainly not improvisation, but independence, and a preparedness for decisions outside established categories. Music is not musicology, and the logic of a work rests on a unique constellation of incident, encounter, experience, agreement; it transcends inherited rules, construction, calculation. It seems that the vegetative element of music surpasses its other, lesser, musicological dimension, and that, as in the life of the Prince of Homburg, illuminations and discoveries take place in dreams, not in the laboratory. Not, however, in a state of haziness, but in the wakefulness of sleepwalkers, where facts are perceived with abnormal clarity. There is something Romantic about this; we might imagine ourselves returned to Wagner’s Nuremberg. Walther’s Prize Song was conceived in a dream, although it then had to be refined by the Master, Hans Sachs. Moreover, Walther’s songs also transcended inherited rules and calculation, outstepped established categories. Henze’s drama throws up another Meistersinger problem. Where is the social world; where is the public nature of art? A dream is all very well, but without transmission and reception it remains but a dream. Those words could almost have come straight from an earlier German revolutionary-composer’s pen, from Wagner’s 1849 Die Revolution. Henze had by this time lent his support to the APO (the Ausserparlamentarische Opposition) and the SDS (the Socialist German Student-league). Natascha Ungeheuer is the siren of a false utopia. She promises the leftist bourgeois a new kind of security, which will permit him to preserve his revolutionary ‘class conscience’ without taking an active part in class warfare. This false Utopia should be regarded as an all-denying immobility, as a kind of cowardice, which permits itself to appear identified with the ‘Revolution’ and believe that such an identity could equal the consummation of revolution. Such an existentialistic, non-historical form of political self-reflection places the leftist bourgeois in the position of exploiting the proletarian struggle, as an occasion for a merely self-indulgent moralising. He ‘muddles through’ between the temptation either to surrender consciousness and return to the bourgeoisie or to choose one of the two possible forms of helplessness: either that of the lonely Avant-garde in their homes or that of Social Democracy. The leftist bourgeois ... refuses to go the full way to the apartment of Natascha Ungeheuer. He has not yet discovered his way to the revolution. He knows that he must turn back on the way he has gone so far, and begin again. Everything about the work – its ideological intention, its music, and its staging – was calculated to provoke, and it was roundly booed when performed at West Berlin’s impeccably bourgeois Deutsche Oper. The musical forces required are a vocalist – a baritone of sorts – a brass quintet, a Hammond organ, percussion, a jazz ensemble, allegedly redolent of the Berlin underground, though perhaps a few decades late, and, perhaps most notably, denoting the bourgeois origins of the protagonist, an instrumental quintet (piano, flute, clarinet, viola, and cello) identical to that used in Schoenberg’s Pierrot lunaire. Here is sickly, decadent, bourgeois expressionism. (Here, I might personally add, is the more compelling music; perhaps Henze spoke more truly than he realised.) To underline the already heavy symbolism, Henze, who also directed the first performances, had the Pierrot quintet – Peter Maxwell Davies’s Fires of London – dress in blood-soaked white coats, each member sporting a different physical injury: ‘one with eye bandaged,’ presumably a coincidental homage to Wotan, ‘another his leg and yet another his arm in plaster of Paris, etc., etc.’ Once again, conflict between different sound worlds, representing different aspects of the political and social situation is readily apparent in what is notably called a deutsches Lied, a German song. When I wrote my first opera, Boulevard Solitude in 1951 – it had its premiere the following year – 50 per cent of it was dance. The singers were treated in rather a statuesque manner because I didn't believe in the traditional movements for them. I overcame that view when I saw Italian opera and I realised that the physical presence of music in a human body is much stronger in a singer because of his voice. This process of making music physically present is still concerning me today. In Cimarrón and Natascha Ungeheuer, I make even the musicians visible and they more or less become actors. I think I will pursue this line. The score tells us that ‘the work can be performed in gymnasiums, in the open air or on concert platforms.’ Yet, the opera house, or at least the theatre, retains a certain primacy. ‘When performed on the stage, dance elements and lighting effects can be increased. It is conceivable to blend in films and to add to the scenic actions.’ Shorn of the optionality and translated into Hegelian, Henze’s notes might come from Wagner’s Opera and Drama. This is a Gesamtkunstwerk of the early 1970s, however much Henze might have wished to escape Wagner’s legacy. The protagonist’s predicament was clearly Henze’s own: stuck somewhere between Natascha’s flat in Kreuzberg and the German bourgeoisie which, even during his self-exile, had funded so many of his activities to date – and would continue to do so. However, most of his audience had not even begun its journey. In Henze’s words, ‘our hero does not reach his destination: but … he hears in his head the sirenlike voice of Comrade Natascha, who, far from welcoming and accommodating, reels off a list of objections to him.’ Has nagging Fricka been resurrected, post-Götterdämmerung, to assail our artist-Wotan? ‘Attempts to renew his bourgeois connections prove a failure. It is a lonely show that our hero stages.’ Having turned back from the former, he does not return to the latter, though it remains quite unclear what will happen next. Such would be the besetting yet fruitful problematic of Henze’s career and œuvre. L’Upupa und der Triumph der Sohnesliebe, another Salzburg commission (2003), would be in character if not in form his Singspiel, a loving tribute to the composer of Die Zauberflöte. However, despite its debts to Wagner and to Berg, Henze still did not feel comfortable with an unalloyed tribute to the former and never really would; Mozart was for many reasons more approachable. And yet, in an unguarded moment during a 2010 interview, shortly before the British premiere of his penultimate opera, Phaedra, Henze would aver, ‘German music, it’s difficult to match isn’t it? It’s so rich and so deep and has inspired so many adventures – and still can, I believe.’ If he had not yet made peace with German politics – and why should he have done so in the age of Merkel any more than during the era of Adenauer? – then the richness of his engagement with German music, and more broadly German history and culture, would never be in doubt. Hans Werner Henze, Bohemian Fifths: An Autobiography, tr. Stewart Spencer (Faber: London, 1999), p.22. Heinrich von Kleist, Prinz Friedrich von Homburg (Echo Library, Teddington, 2007), p.75; Bertolt Brecht, ‘Sonnet über Kleists Stück “Prinz von Homburg”,’ reprinted with commentary by Walter Benjamin, in ‘Commentary on Poems by Brecht,’ tr. Edmund Jephcott, in Walter Benjamin, Selected Writings, eds Howard Eiland and Michael W Jennings, 4 vols (Harvard University Press: Harvard, 1996-2003), vol.4, pp.237-8. Fredric Jameson, Brecht and Method (Verso: New York and London, 1998), p.90. Henze, ‘Der Prinz von Homburg,’ in Music and Politics: Collected Writings 1953-81, tr. Peter Labanyi (Faber: London, 1982), p. 102. Henze, Bohemian Fifths, p. 207. Henze, ‘German Music in the 1940s and 1950s,’ in Music and Politics, p.35. Henze, ‘The Bassarids: (1) Tradition and cultural heritage,’ in ibid., p.145. Henze, ‘The Bassarids: (3) Symphony in One Act,’ in Music and Politics, p.153. ‘Art and the Revolution,’ in Music and Politics, pp. 179-80. Quoted in Andrew Porter, ‘Henze’s “Young Lord”,’ in The Musical Times, 110 (1969), p.1028. Richard Wagner, ‘Die Revolution,’ in Sämtliche Schriften und Dichtungen, eds Richard Sternfeld and Hans von Wolzogen, 16 vols in 10 (Breitkopf und Härtel: Leipzig, 1912-4), vol.12, pp.245-51. Interview with Alan Blyth, in Gramophone, 49 (1972), p.1690. Interview with Ivan Hewett, Daily Telegraph, 7 January 2010.